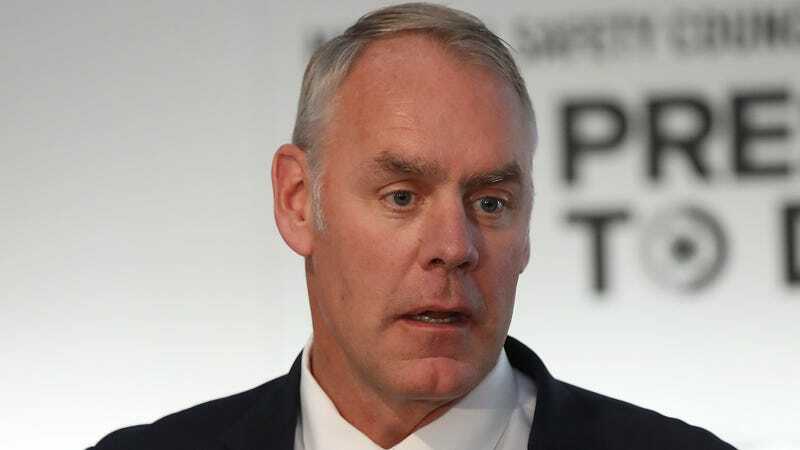 Interior Secretary Ryan Zinke has referred to himself as a “geologist” in public at least 40 times, CNN reports, which is notable because Ryan Zinke is not, in fact, a geologist. Since becoming leader of the 70,000-employee agency, Zinke has suggested that he was a geologist or former geologist at least 40 times in public settings, including many under oath before Congress. He uses it as a credential booster, saying things such as, “I can tell you, from a geologist, offshore mining of sand is enormously destructive environmentally, as in comparison to seismic,” as he told the House Natural Resources Committee last month. And, “Florida is different in the currents — I’m a geologist — it’s different in geology,” in an interview with Breitbart News, defending his decision to exempt Florida from offshore drilling. He also uses it while discussing coal revenue, seismic activity, climate change, national monuments, precious metals, endangered species, fracking and drilling. Zinke wrote in his autobiography that he majored in geology as an undergrad, which is not the same thing as being a geologist. Then he went on to become a Navy Seal (not a geologist), a businessman (not a geologist), a radio host (not a geologist), and a congressman (not a geologist). Still sounds like he has never been a geologist, but what confidence! And really, who among us hasn’t repeatedly misled the American public about our job credentials in order to sound more authoritative when we talk about fracking? Personally, I find it inspiring that our Interior Secretary believes in himself so much that he thinks simply saying something about himself over and over again will make it true. Do we think he’s read The Secret?